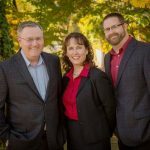 Mischel Lewis & Dixson LLP is a full-service accounting firm formed by the merger of three CPAs — Kenneth J. Mischel, Corwin G. Lewis, and Wendy S. Dixson. Their services include income tax preparation and planning, small business services, financial statement accounting, bookkeeping and payroll, IRS representation, and QuickBooks support. Work For Mischel Lewis & Dixson LLP? Claim This Page.